Even if you own a business that you want to take worldwide, it will never get there without the continual support of your local area. Most businesses that grow over time will need the support of the local market, so it is important to focus on what they want before you grow out of the market. 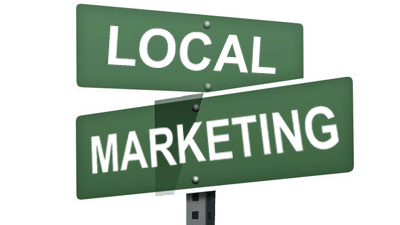 If you are unsure how you can do this well, here are some great local marketing options you can use for your business. While online advertising may be the future, your local market can always benefit from some old fashioned advertising tactics. If you have a physical store front, you will want to make sure your local community knows all about you through signs, newspaper advertising and fliers distributed throughout the area. If you are an online only business, you can still use many of these print advertising strategies, but you will want to make sure that you advertising provide your website and social media accounts as well as any other pertinent information. Giving back to the community is another great way to get your business noticed. Through a sponsorship, you may have to provide a little money for your advertising to appear on advertising or apparel for the event. Some of the most common local sponsorship opportunities can include youth sports teams, annual events, parades and other opportunities that may be unique to your local community. Just because you want to reach your neighbors doesn’t mean you have to forget online advertising. One of the easiest ways to reach the local consumer is to get your business listed on websites and apps that cater to those looking for local businesses. Programs like Google Places can help you be discovered by those who are searching for the things that your business can provide. Many of these sites and apps also allow users to leave reviews, so positive experiences can help to boost your name in the local community. Whether you want to focus on the local market for a short time or permanently, these are just some of the ways that you can connect with your local community and market your business.